Riding on the festive season, TECNO Mobile, the premium smartphone brand of TRANSSION India has rolled out the brand connect initiative “HarSuratKhoobsurat” to add cheer to its multiple stakeholders. The campaign represents the true beauty of an Indian face captured through the lens of a TECNO smartphone. Through this initiative the brand intends to connect emotionally with retailers and consumers to create memorable experiences. 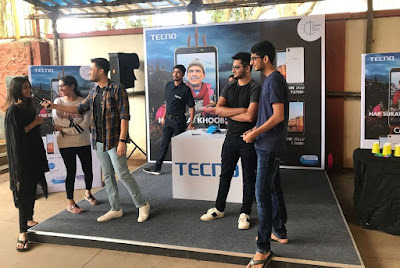 TECNO is dedicated to the needs of the consumers and believes that millennials are turning out to be a creative force who have defined the mobile photography space in their own unique manner and style. The brand believes that the youth aspires for a device that represents them and syncs well with their personality. The TECNO “CAMON” series with Best Anylight Camera resonates well with these expectations. In alignment with this thought,“Har Surat Khoobsurat” campaign is on its way to connect with its core audience of college-goers by collaborating with the popular property of RED FM “College Ke Tashanbaaz”. The first phase of the campaign “Har Surat Khoobsurat” was launched on 13th August with the core objective of strengthening the footprint in tier 2 and 3 cities. More than 300+ on-ground activities in 50 cities took place enabling direct face-to-face engagement with 3,000 plus retailers and 300,000 consumers leveraging the two major occasions of Independence Day and Raksha Bandhan. The Har Surat Khoobsurat Independence Day TVC was on air across multiple TV channels on 15th Aug.
As college fresher’s start to settle in, the efforts to flaunt their talent and be the talk of the town also becomes important. TECNO will be leveraging this time of a new session when students are in fun, frolic and self-expression mood. The brand will be part of talent hunt in colleges across 10 cities including Delhi, Mumbai, Chandigarh, Jaipur, Pune, Ahmedabad, Surat, Nagpur, Varanasi, Jamshedpur. Students from different institutions across these cities will showcase their emerging talent in field of singing, dancing, acting, comedy or playing music. The highlight of the activity is instant selfie competition with attractive selfie frames given to the students to click most creative selfie and win goodies. Through this activation, TECNO is showcasing its latest product portfolio including CAMON iACE, CAMON iSKY 2 & CAMON iSKY that has been launched to fill-in the gap for generation next that tick every box for consumer looking for a perfect camera-centric smartphone in the sub 8K. 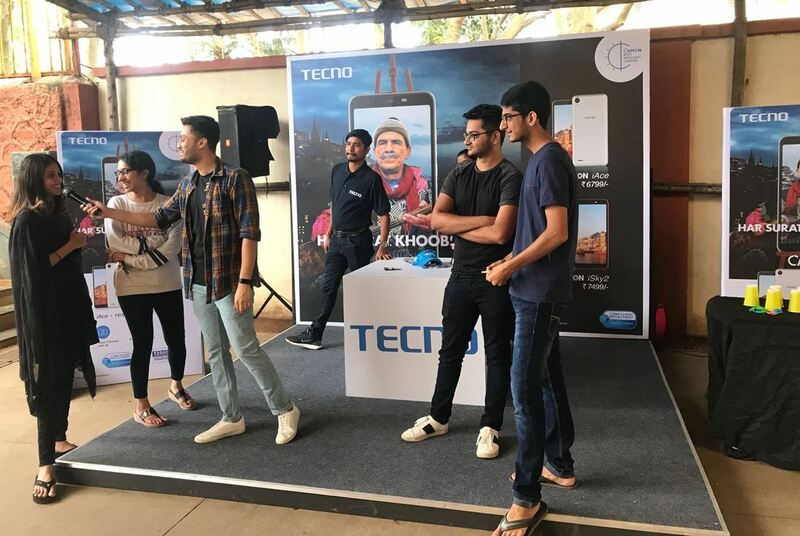 Tecno has activated college activations across 10 cities. The second phase of the campaign will continue until 10th September.